DSPs like DoubleClick Bid Manager, The Trade Desk, AppNexus, and Mediamath have announced that they will buy media from authorized sellers, partially or exclusively, by the end of the year or early 2018. As a result, networks and exchanges are clamoring to be declared as “authorized digital sellers” by their publishing partners. With mass ads.txt adoption finally around the corner, the jig is up for companies that exist solely through inventory arbitrage. Cornered and with nothing to lose, they are using threats of lost yield and misinformation about what ads.txt really means for publishers, in order to survive. Those who buy inventory have no place in a publisher’s ads.txt file unless they’re also selling it somewhere else at a markup and pocketing the spread in margin—which is the practical definition of arbitrage. If Thrive+ were only buying inventory (as it said in the pitch), it could easily route its clients’ spend on any of exchanges publishers had authorized without reaching out to them. More worrying is the company’s insistence on being listed as a Direct partner, which would mean that publishers directly control the inventory on this platform via an account and UI on all of them. Buyers could also prefer direct sellers, as the total cost (programmatic fee) is lower than when going through multiple resellers. The matter came to light when a top comScore publisher posted the pitch on AdOps subreddit. AdExchanger and Digiday uncovered more companies (like Ludius Media and SelectMedia) sending similar pitches to publishers. The industry reaction to the investigation about the scam was swift and merciless. Most reactions to the Reddit thread accused Thrive+ of inventory arbitrage and IBV fraud (since there’s no spec in ads.txt to declare the inventory type that a platform is authorized to sell). Thrive+ eventually responded by saying that they did resell inventory, but did not engage in arbitrage or IBV fraud. Publishers refused to take the bait from Thrive+. But it did spark a conversation about best practices for ads.txt implementation. How important is it to put all resellers’ names in the file? Doesn’t that defeat the point of ads.txt? Ads.txt itself takes no stance on how many partners (Direct or Reseller) publishers can add to their list. In fact, there are “extreme ads.txt files” out there with hundred or more partners in them. The length can be partly attributed to exchange-integrations. 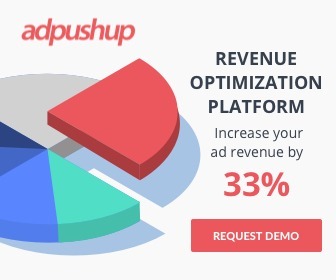 A Direct platform sells impressions (not sold to its primary DSP connections) to Resellers. These connections have remained in the dark and reselling happened largely without publisher’s knowledge. This left grey areas for arbitrage. This stands to change as more DSPs begin enforcing the authorized-sellers-only rule. To provide promised fill rates and monetization to publishers, a Direct partner will have to get its backfill exchanges authorized by the publishers. Not all platforms do this for all integrations though. In header bidding integrations, partners like Sovrn, Conversant, and bRealtime typically share their reseller-partners and provide separate pub IDs corresponding to those accounts; AppNexus, AOL, and Sonobi don’t. From the yield perspective, it makes sense to publishers to authorize as many partners as possible—regardless of Direct or Reseller affiliation—to ensure that the bid request reaches as many platforms as possible. Header bidding limits the need to add the whole reseller chain to some extent. Vendors with more resellers (than primary demand) will tend to win fewer impressions in a unified auction with net bid requests. But there’s a case to be made for more minimalistic ads.txt files as well. As cheap, spoofed inventory clears out of the ecosystem, marketers will direct their spending towards purchasing legitimate impressions. Google revealed that it is already seeing an increase in average CPMs of inventory bought in November 2017, despite the annual Q4 bump. The average price of ad space purchased through Google’s ad-buying systems (DBM) has increased over the past three weeks, which the company attributes to its adoption of the “Ads.txt” industry initiative earlier this month. Buyers could decide how to supply path optimize between publisher accounts if they have their supply available on many exchanges by using Direct/Reseller flag. They will most likely prefer direct supply paths to reseller paths, as there is one less company in the value chain, and fees are therefore likely to be lower through direct paths. There’s also a “blending risk” created by multiple resellers. 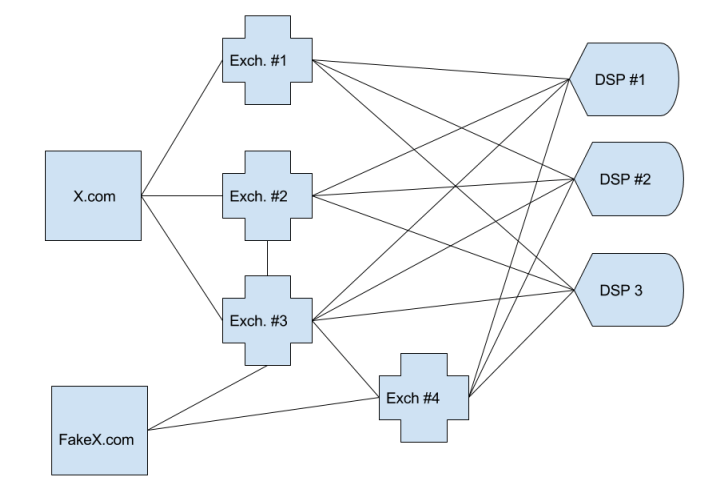 Traffic blending occurs when an ads.txt-authorized exchange blends incentivized/fraudulent traffic with that of legitimate publisher’s to fool the DSPs, splitting the difference with dubious domain owner. Once the authentic traffic, blended with IVT, reaches DSPs, fraud detection measures could devalue or outright block the exchange, along with an authentic publisher’s impressions, for good measure. It’s also about trust. A vendor responsible for sending in malicious creatives or loading video player (and ads) in display slot could damage the UX. The long-term consequences of authorizing such partners far outweigh any perceived short-term benefits to yield. 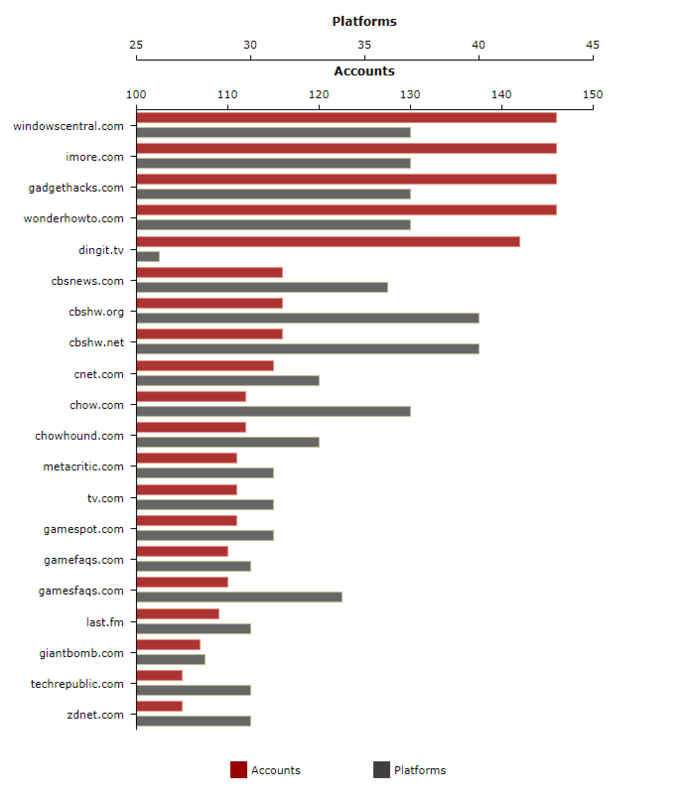 Publishers of all scales now have the tool to dispose of parasitic arbitrage players. Implementing ads.txt means taking back control of supply chains.